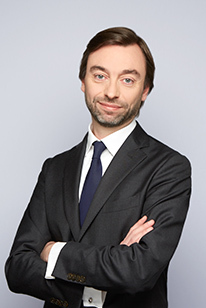 Nicolas Jüllich acts on acquisition and partnership deals, especially in transactions involving corporate reorganisations (mergers, demergers, capital contributions, spin-off). He has gained significant experience in real estate transactions (including real estate collective investments corporate regulation) and in transactions involving companies’ turnarounds. He is the co-author of the commercial companies Jurisclasseur on mergers (consequences – litigations). Counsel to SNCF on the acquisition of IPE fund’s stake in Ermewa. Nicolas Jüllich joined Lacourte Raquin Tatar in 2013. He was previously a partner at Gide Loyrette Nouel since 2008 where he practiced for over 15 years.